Microsoft designed the Windows User Account Control and deployed it on the Windows Operating System (OS) in order to prevent unauthorized modifications to critical settings or programs on a computer running the Windows OS. 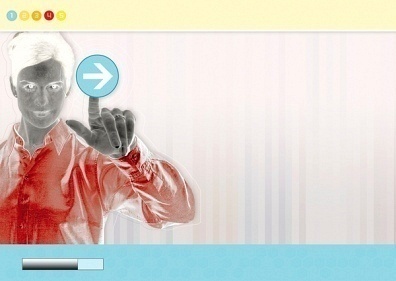 Microsoft deployed User Account Control since Windows XP, and has continued to update the application in newer versions of Windows (such as Vista and Windows 7). Users often want to disable User Account Control in order to prevent the OS from displaying warning boxes. Step 1 – Open the Windows “Control Panel” by clicking “Start,” then “Settings,” then the “Control Panel” icon. Step 2 – Open “User Accounts” on the subsequently displayed Control Panel window. Step 5 – Restart the computer to complete turning off User Account Control in Windows XP. 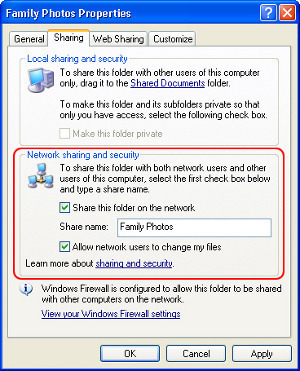 Step 2 – Choose the “User Accounts and Family Safety” menu option. Step 4 – Restart the computer to complete turning off User Account Control in Windows Vista. Windows 7 incorporates some modifications to UAC in that it lets you change the level of notifications to something between never and all of the time. 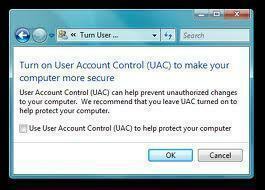 However, disabling UAC in Windows 7 is similar to doing so in Windows Vista. Step 2 – Choose the “System and Security” menu choice. Step 6 – Complete turning off User Account Control in Windows 7 by restarting the computer. This windows XP solution is largely incorrect. What would be the correct solution for Windows XP? 192 queries in 0.505 seconds.